Kids Breakfast Club is BACK! This offer is redeemable in the Mumbles Pier Beach Hut Café only. Offer redeemable when purchased with any adult breakfast. 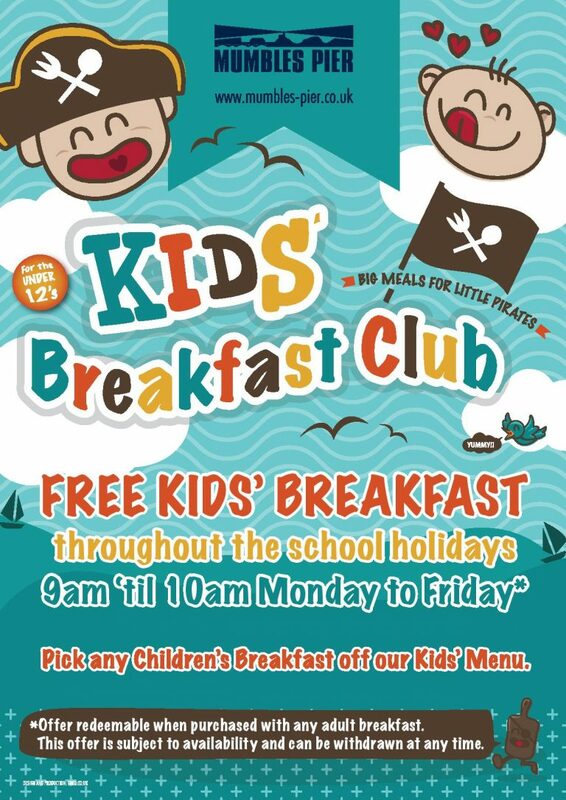 1 free child’s breakfast per full price adult breakfast. This offer runs with Welsh Government school holidays dates (see below for all 2019 dates). Valid between 9am and 10am Monday to Friday only. This offer is excluded on Bank Holidays. This offer is subject to availability and can be withdrawn at any time. This offer is not valid on school inset days.